Alex Malcolm founded Jacada Travel with the goal of creating unique and authentic travel experiences without having to live in the country itself. Using hand-picked local guides and true insider knowledge, his company creates tailor-made luxury holidays and safaris from their offices in London and Hong Kong. Two weeks exploring through Morocco. I found it such a fascinating place. Such a variety of experiences. Exploring the bustling souk, hip art galleries and fashion ateliers in Marrakech. Chilling out in bohemian port town Essaouira. Crossing over the Atlas mountains, exploring ancient oasis cities and then camping in the Sahara Desert. Chile, at our new Latin America office before heading down to Antarctica. I'm going to take an expedition cruise along the Antarctic Peninsula. It's interesting as it's one of the only fly-cruise options available, avoiding the (sometimes rough) two-day drake passage crossing to get there. I'll also spend around a week working out of Santiago, getting to know the home city of our new Jacada office better (perhaps heading out to the wine country for a day or so too). I would love to explore the plains and culture of Mongolia. For me, there's something quite romantic and alluring about the wide open plains. On top of that, the proud, nomadic culture that they still preserve in places is quite unique in the world, there are few places where you can see something quite like that. I find it easier to relax and think deeply when on the road. Being taken out of the everyday and meeting people from completely different cultures gives me a fresh perspective on life. It's when I feel the most alive and present. Just recently, in the Sahara desert. It dark and after dinner walked to the edge of the camp I was staying in. I lay on my back and stared up at the stars and really felt like I was floating in space, the air is so unbelievably clear. It was a really magical experience. Food poisoning with three hours of off-roading and three hours of light aircraft flights. 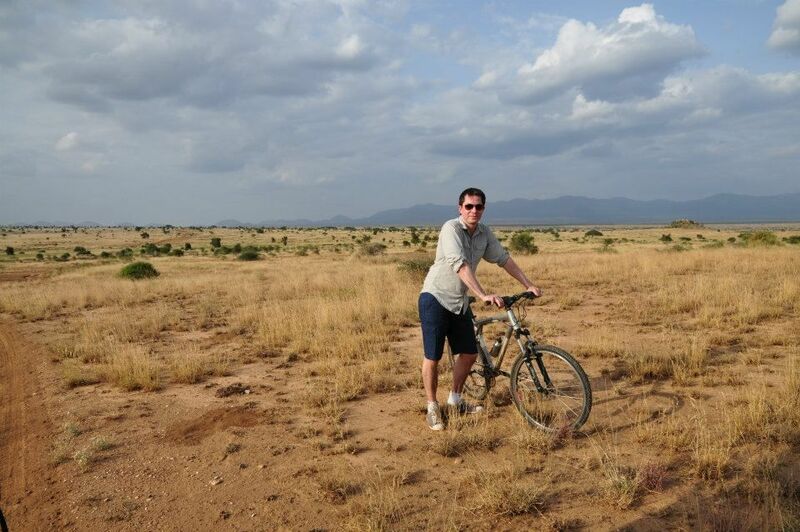 This was in East Africa about five years ago. The rest of the trip was spectacular, though that day was one to forget. Patagonia in Chile and Argentina. It's such a beautiful, unspoilt part of the world. The scenery is breathtaking and it's the perfect place to get away from it all. The most recent addition is my travel yoga mat, which is a great way to keep 'grounded' even when on the road, comfy sweatpants for the flight and at least one camera. Recently, I've really enjoyed taking my mother on trips. She's always loved to travel (I guess it runs in the family) so it's lovely to take her places that I know she'll really enjoy. In fact, I'm going with her and my sister to Peru this January. Aisle—I don't sleep well on planes so I don't like to be hemmed in. That said, the perfect seat is both window and aisle at once. Not exactly a travel app, but Insight meditation timer... meditating is such a good way to appreciate where you are right now. Learn how to relax through the stressful bits. Travelling through airports is no fun, but then I think about how grateful I am that I have the opportunity to travel. I have a high powered portable sunrise alarm clock. It's like having a set of car headlights wake you up but it helps to reset your body clock quicker. That and some early morning exercise like a swim or yoga, hard to summon the willpower to do it, but you never regret it after. I think people are becoming more tuned into travel as a positive impact, both for ourselves (learning something new, staying active) or making sure that the travel we do has a positive impact on the world. People want to know that the lodges and experiences they are doing good. It's an uplifting experience. Follow Alex on Instagram @alexjmalcolm to keep up with his travels.